The Hero Project is here! The what?? Well, let me explain… over the last three years a pioneering skincare team with over 100 years of beauty industry knowledge between them have been planning to start a revolution in the beauty world… and they call themselves THE HERO PROJECT. They’re now ready to come to the rescue of millions of women fed up with being disappointed by their beauty products! The team have been listening to what real women want as well as what they don’t, so they could conceive an effective as well as affordable range of skincare products. We learn what consumers love about current global beauty bestsellers through intense market research, develop out the things people dislike, and sprinkle innovation liberally in formula and communications. We create functional yet chic packaging to excite consumers and allow them to cherry-pick out just the products that are right for them and mix it in with their current at home regime. The mission? To finally give customers what they really want – fabulous products that work at an affordable price! Hyasoft Instant Moisture Boost with multi-weight hyaluronic acid and vitamin B5. This is a lightweight clear gel moisturiser, containing multiple types of hyaluronic acid to penetrate the skin at different levels, resulting in an intensively moisturised, plump feeling complexion. 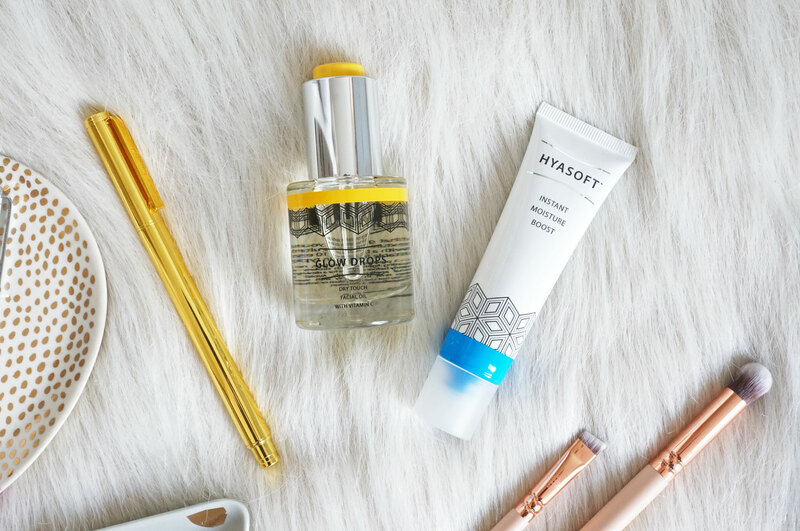 Hylasoft is very similar to Indeed Labs Hydraluron Moisture Jelly and Pestle & Mortar’s Pure Hyaluronic Serum– so if you’re a fan of these products, you’ll definitely like this. 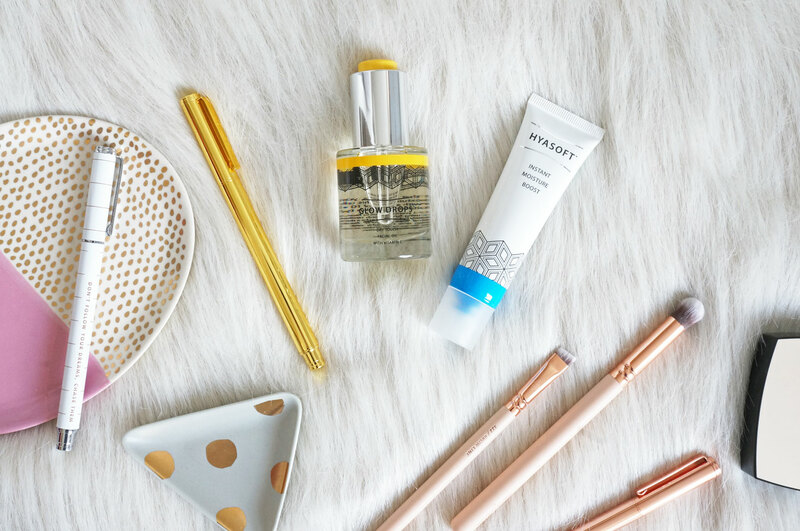 It’s a clear, non greasy gel that instantly sinks into the skin – and I felt like my skin literally drank this stuff up! It’s suitable for all skin types, and very reasonably priced at £19 for 30ml. Glow Drops – the second product from The Hero Project, Glow Drops is a lightly scented facial oil, made with over 98% naturally derived ingredients. It contains a blend of essential oils plus a shot of vitamin C to instantly help smooth, nourish and brighten skin. Again this is non-greasy and fast absorbing, so you won’t need to wait around for an age for it to sink in. Glow Drops is very similar to L’Oreal Age Perfect Extraordinary Facial Oil and Clarins Blue Orchid Face Treatment Oil, and it’s suitable for all skin types, though those with dull or stressed skin may find this to be particularly beneficial. Glow Drops is £21.00 for 30ml. And just for fun, I’m also giving away ten tubes of Hylasoft, to ten lucky winners! All you have to do is look through my social pages and find where I’ve hidden either Hylasoft or Glow Drops in one of my images, then comment on the image letting me know you’ve found it, including hashtag #BeautyOnAMission. The two best comments out of the first ten will also receive a bottle of Glow Drops too – so make sure your comment is a good ‘un! This giveaway is open to UK participants only, and will end once ten winners have been chosen. Keep an eye on my social sites for winner announcements too – good luck! The Hero Project’s Hylasoft and Glow Drops are available now exclusively at The Hero Project.